H.O.P.E delivers a variety of services to help you and your loved ones live a better life. From pet sitting to elder care to transportation. We provide a full range of professionally delivered services you can depend on. H.O.P.E is fully Insured and certified. Please browse our services below. Then let us know if we can be of assistance. Do not hesitate to ask questions. We are here to help you. We provide total care for our clients and their household 24/7. We assist them with pleasant conversation, toileting, bathing, meal prep, and feeding (if needed). Light housekeeping, and medication reminders provided as well. Errands and appointments, we will handle so you and family can sit back and relax. You will have time and balance for your life. For your children, We come to your home, which is a safe environment, where your children are familiar to their surroundings. Services include helping with homework, meal prep, and bath-time, (if needed). We also care for children with special needs. Bus drop off/pick up is also provided. We cater to your pets as if they were our own. 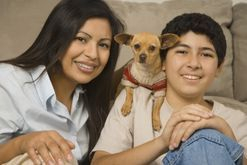 We feed, walk and play with your pets. If you need someone to come in and stay them, we do that also. So feel free to go on vacation and not worry about your pets. They are in great care with H.O.P.E. Need a vacation or someone to watch your home? We are H.O.P.E., we come to your home every day, sometimes twice a day, or stay as needed. Services include checking mail, watering plants, checking any messages (if needed), and making sure that the house is safe. Services include the following: dusting, sweeping, vacuuming, mopping, and light laundry. Please CALL NOW for a no obligation discussion of what H.O.P.E can do for you and your loved ones. Call 845-629-1966.